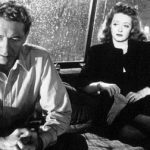 In addition to “A Woman’s Life” (see earlier post), there were three other outstanding period dramas we enjoyed at COLCOA that are well worth seeing if you get the chance. First: In writer/director Nicolas Boukhrief’s “The Confession,” which is based on Béatrix Beck’s 1952 novel “Léon Morin, prêtre,” Marine Vacth plays a fiery, fiercely free-thinking woman who develops an unconventional friendship with a charming priest (Romain Duris) in a small French town during World War II. Their intellectual debates and emotional vicissitudes as well as their growing depth of feeling and personal peril are handled with subtlety and tenderness. The book previously came to the big screen in 1961 in a film adapted and directed by Jean-Pierre Melville, starring Jean-Paul Belmondo and Emmanuelle Riva. Second: A true story you’ll never forget. 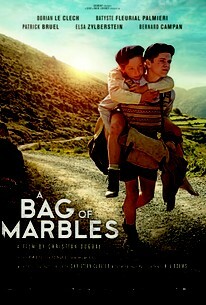 “A Bag of Marbles,” co-written and directed by Christian Duguay, recounts the harrowing experiences of a Jewish family desperately trying to evade the Nazis in 1941 Paris. After their parents decide it would be safer to split up temporarily, the youngest sons, 10 and 12, head to France’s “free zone” on their own and must fend for themselves along the way. The atmosphere is pitch-perfect and the performances all around (especially the boys, as played by Dorian Le Clech and Batyste Fleurial) are authentic and fresh in addition to being uncommonly moving. Based on the memoir by Joseph Joffo and Claude Klotz. Third: “Mr. & Mrs. Adelman” is a portrait of a relationship over the course of 50 years. Highly engaging, original and often delightfully acerbic, the film was made by Nicolas Bedos and Doria Tiller, who also play the leads and are themselves a couple.